Before galloping off to get my hair cut, I went with my good friend Petrice to this awesome thing Logan does every Saturday called The Bountiful Basket. Basically what it is is a parking lot where all this fresh produce (all the surplus that local farmers couldn’t sell to stores) is gathered up into white laundry baskets and given away in $15 parcels. 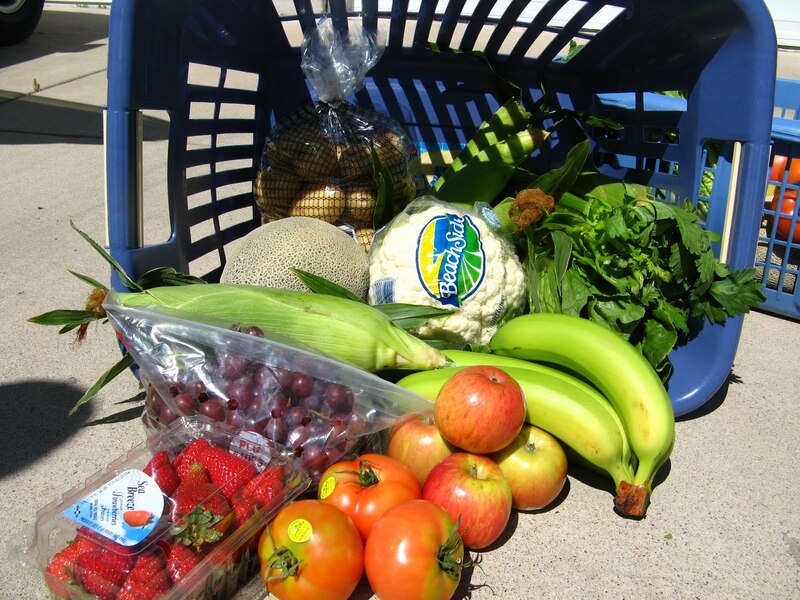 Petrice was nice enough to give me one of her free baskets, but I’m tempted to start going every Saturday, because for just $15 you get a huge assortment of dripping fresh fruits and vegetables like strawberries, celery, lettuce, apples, corn, cantaloupe, and grapes, to mention just some. 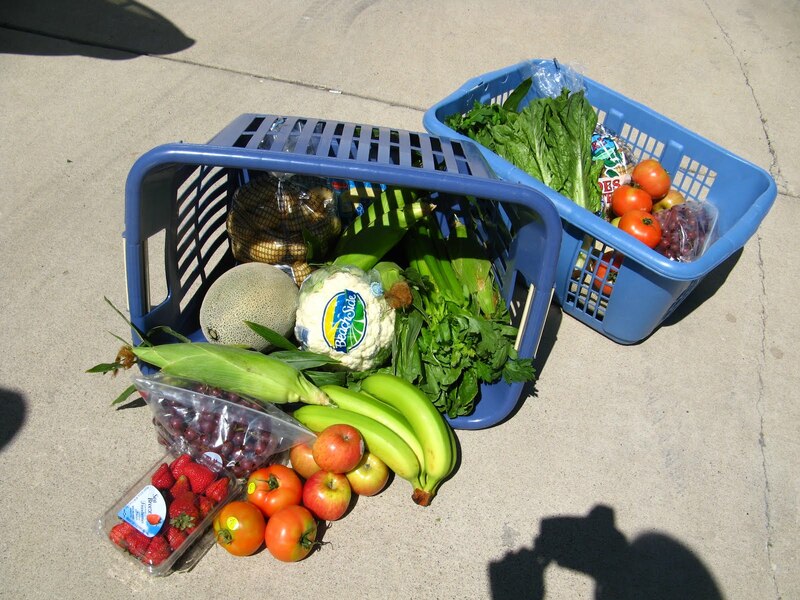 I wanted to take a picture of all of the pre-stuffed laundry baskets in the parking lot (you just unload the basket into your own when you come), but I felt kinda silly trying to slyly pull out a camera and take pictures while this young kid waited by my side for me to transfer the produce into my own basket. But I did make sure to get these few pictures before taking home the food and devouring it (Petrice was the one who so artfully spread out the fruit so it looks all pretty). Seriously though, this is the best deal ever. And the stuff is SO fresh…the smell of the celery and the strawberries and grapes was so strong by the time I got home that I pulled those 3 things out first and proceeded to munch my way through about half of what we’d been given (with Matt’s help) in less than an hour. Then I ate 3 chocolate chip cookies and a handful of Tootsie Rolls and swallowed it down with a glass of milk. Now that’s what I call a pretty good Saturday.